The Indian two-wheeler market is opening up to premium motorcycles, and new and existing bike makers are expanding their range of niche offerings. 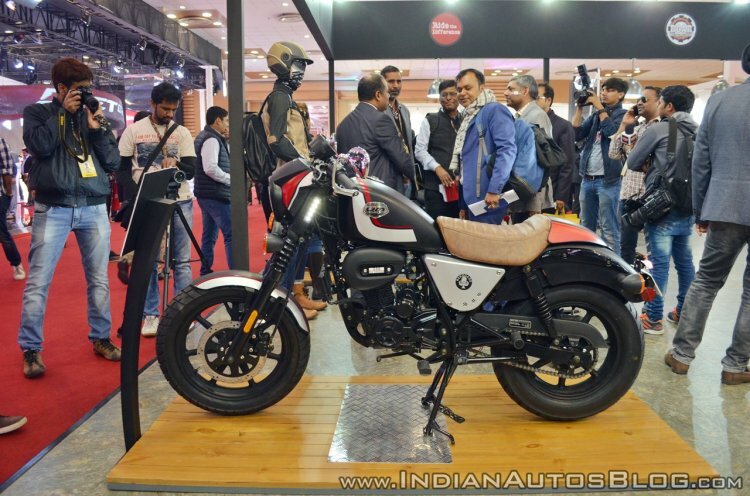 Here's the Part 5 of the list of upcoming motorbikes in 2019 that include the Benelli Leoncino 500, UM DSR Adventure 200, Hyosung Mirage 250 and the UM Renegade Duty series. The Benelli Leoncino 500 will be available in three variants - Standard, Trail and Sport. Benelli India is all set to launch the TRK 502 range in India on 18 February. Apart from the adventure tourer, the company will soon be introducing the Leoncino 500 scrambler in the country in the coming months. Internationally, the Benelli Leoncino 500 is available in three variants - Standard, Trail & Sport. The standard version is a road-focused offering, while the Trail is an off-road biased model with knobby tyres and wire-spoke wheels, while the Sport is a modern-retro cafe racer. 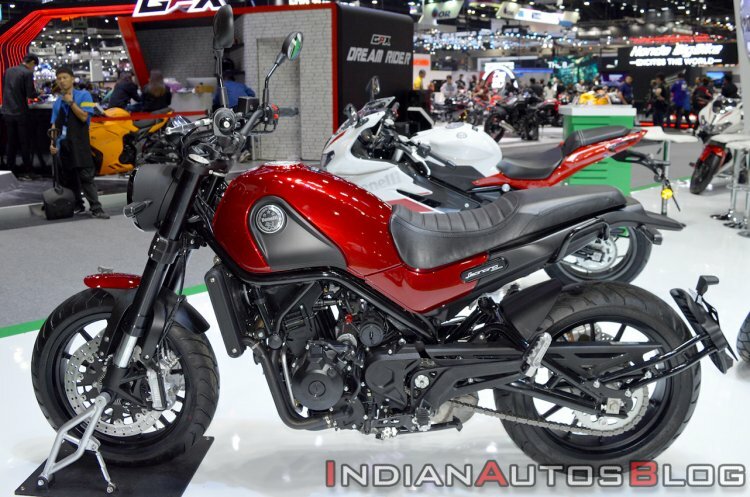 Benelli India is likely to first launch the standard Leoncino 500 and the Leoncino 500 Trail in India, while the cafe racer will only be introduced towards the end of the year. The biggest highlight of the Benelli Leoncino 500 is its design. While most of the manufacturers carry forward the classic angular lines with a modern touch, Benelli has opted for entirely different aesthetics, while still maintaining the overall silhouette of the scrambler. Powering the Benelli Leoncino 500 is a 499.6cc parallel-twin, DOHC motor that churns it 46 bhp of maximum power and 45 Nm of peak torque. A 6-speed gearbox transfers drive to the wheel. Being a CKD import, the Leoncino 500 could retail around INR 4.5 lakh (ex-showroom). The UM DSR Adventure 200 was recently leaked during a product presentation. It was also revealed that the motorcycle will retail at INR 1.39 lakh (ex-showroom Delhi). 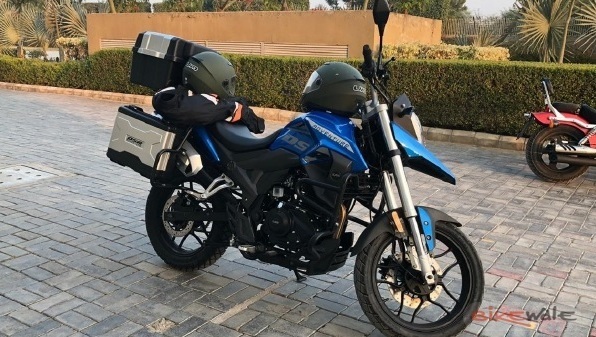 The DSR Adventure 200 will rival the Hero XPulse 200 when launched in India. Powering the UM DSR Adventure 200 is a 196cc, 2-valve, single cylinder, air-cooled motor that produces 16 bhp of power at 8,500 rpm and 16 Nm of peak torque at 6,500rpm. It is coupled with a six-speed gearbox. Braking duties will be performed by disc brakes at both the ends, while the motorcycle will feature a single-channel ABS. The UM DSR Adventure 200 features a semi-fairing along with a tall windscreen and a beak fender. The motorcycle gets a sculpted fuel tank, raised handlebar and a comparatively lowered tail section. The bike gets optional luggage mounts, soft-case panniers and a top-box. The UM Renegade Duty S features a dragster-style design philosophy. 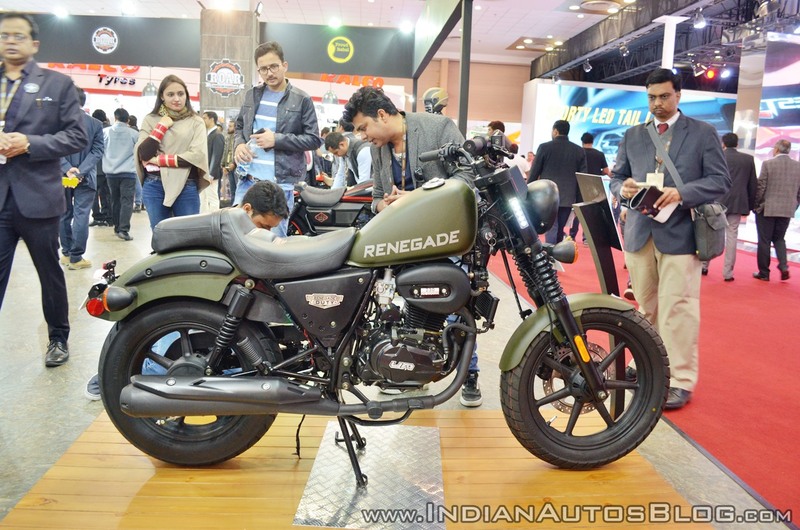 According to a report from August 2018, the UM Renegade Duty S and the Renegade Duty Ace will be launched in India in Q1 2019. The Renegade Duty series debuted at the Auto Expo in February 2018. The motorcycles were earlier expected to be launched before the end of 2018, but the upcoming safety guidelines pushed the launch ahead. The UM Renegade Duty series features the dragster design language with slightly sporty ergonomics. While the Renegade Duty S gets a relaxed riding posture, the Renegade Duty Ace receives committed riding ergos with the lowered handlebars. The UM Renegade Duty Ace features a cafe racer inspired design with lowered handlebar and a pillion seat cowl. The UM Renegade Duty Ace is a single-seat only offering with a rear cowl in place of the pillion seat. It also features a dual-tone paint scheme. According to the Auto Expo announcement, the Renegade Duty series is priced at INR 1.10 lakh (ex-showroom Delhi). The Hyosung Mirage 250 will be imported via the CKD route and assembled at Kinetic's facility in Ahmednagar, Maharashtra. At the launch of the Hyosung GT 250R and the Aquila 650 Pro, Mr Ajinkya Firodia, MD - Motoroyale, confirmed to IAB that the company would launch a new small cruiser motorcycle in the country in the coming months. The said bike is none other than the Hyosung Mirage 250, which will be introduced in India in February or March 2019. 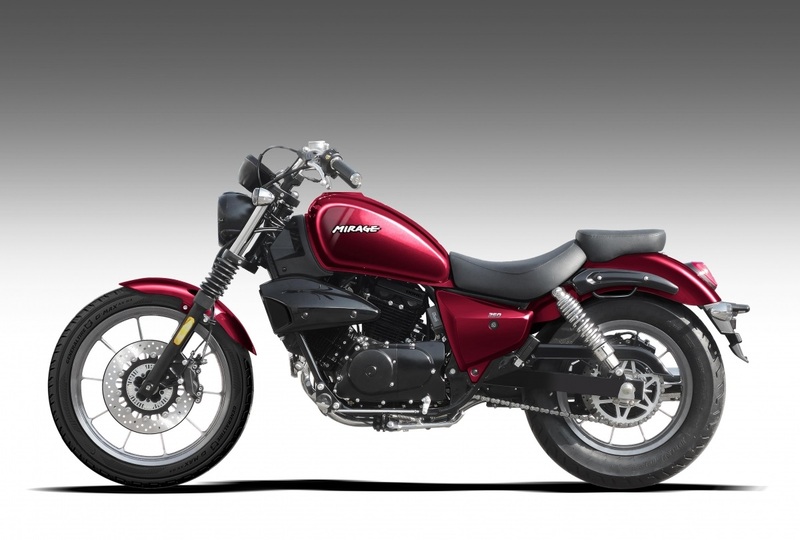 The Hyosung Mirage 250, also known as Hyosung Aquila GV250, is already on sale in a few global markets. The Mirage 250 uses a 250cc V-Twin motor that produces 25.8 hp of maximum power and a 21.7 Nm of peak torque. It is mated to a 6-speed gearbox. It will feature disc brakes at the front and back with standard dual-channel ABS. The Hyosung Mirage 250 will be a CKD import and will be locally assembled at Kinetic's facility in Ahmednagar, Maharashtra. Being an import, the Mirage 250 will command a premium of around INR 3 lakh (ex-showroom).